Find out which options is right for you and the tangible benefits. Organizations require better connections to branch offices to deliver higher-quality network services. SD-WAN is more agile and cost-effective than traditional networking solutions, but there are challenges, especially around security. 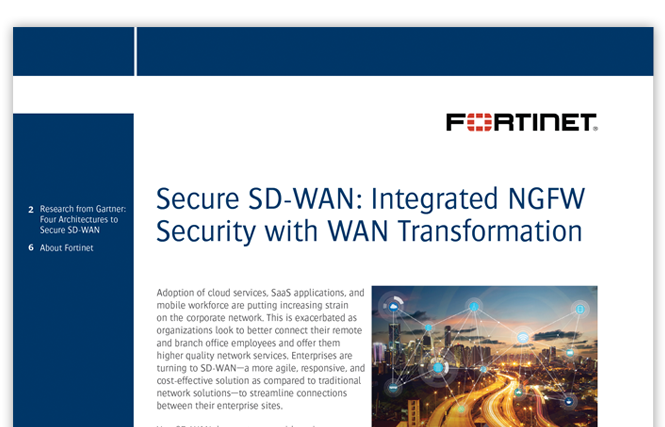 Gartner’s research note explores the challenges that are transforming SD-WAN and discusses four SD-WAN architectures. For all the details, download the research note today.